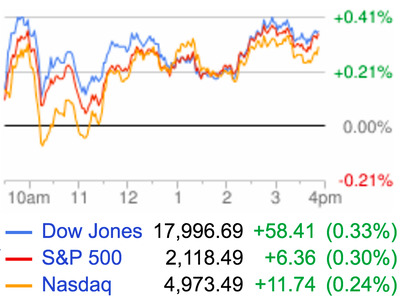 Stocks drifted higher on Wednesday as once again markets had a pretty uneventful day. As of Wednesday’s close, the S&P 500 is now just 12 points away from its record high. The US housing market has been a hot topic of late with commentary from analysts including Ivy Zelman and Conor Sen out this weekend re-focusing the economic commentariat on the idea that the economic and consumer cycle, really, is driven by housing. Bill Smead, CEO of Smead Capital Management, wrote in a note to clients this week that Zelman’s thesis of an upcoming “elongated” housing cycle seems right, and the answer is because young people are getting their start in like later. We would argue that many Millennials have removed themselves from their hometown and their college town via their employment and the lateness of marriage,” Smead writes. Neil Dutta, an economist at Renaissance Macro, also pointed out in a recent note to clients that this thesis is likely to play out because while millennials may have gotten a later start along the path to becoming “real” adults — you know, owning homes, having kids, etc. — they still take the path. 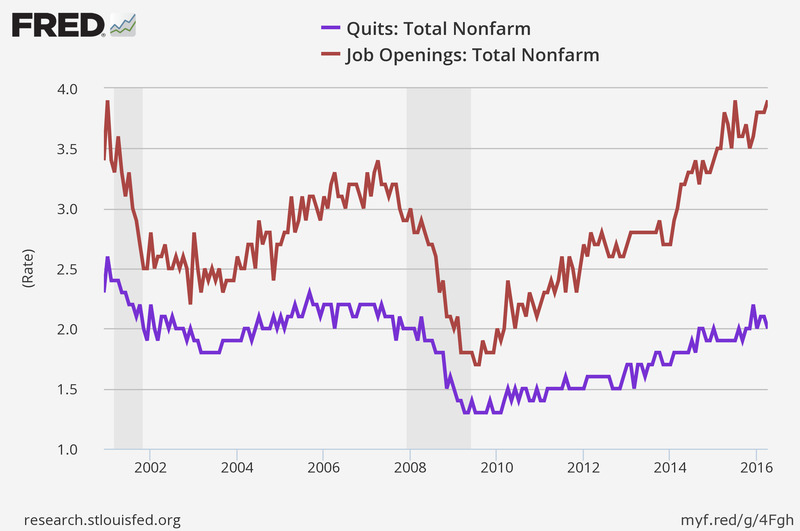 Job openings are at a record high. On Wednesday, the BLS reported that in April the number of jobs open in the US totaled 5.788 million, more than than the 5.67 million openings that were forecast. This, again, is also a record. This number wasn’t all good, however, as the total number of hires fell slightly — not a shock given the decline in payroll gains in both April and May — and the hiring rate fell to 3.5% from 3.7% in the prior month. The report also showed that the quits rate fell to 2% in April, down from 2.1% the prior month. The quits rate is seen as a proxy for worker confidence in the economy with the thinking being that you won’t quit a job unless you’re reasonably confident you can find another one. Lululemon reported earnings on Wednesday. It was a slight miss. The stock rose 5%. Investors were fine with it! It was a lovefest, and the only people more excited on the call than the CEO were the analysts. At least twice during the call, Potdevin’s optimistic rundown of the company was met with an even more enthusiastic “great quarter … really challenging environment … really challenging … great quarter” from Wall Street analysts. The “great quarter, guys” saying is something that’s been termed, by some of the very analysts who use this idiom, the “most embarrassing” thing you can say as a Wall Street analyst. Though, admittedly, this is a hard job. As an analyst, you’re paid to bring insights to your firm’s clients they can’t get elsewhere. Part of these insights, in theory, are developed from meeting with management. But some managements can be fickle, prickly even. Sometimes, when analysts are hard on management they may get less access, or slower access, or no access. And this would then make the analyst’s job harder to do, the clients harder to serve, and so on. On the one hand being nice to management in a public forum like a conference call is embarrassing. On the other hand, it’s just business. And business can be hard. 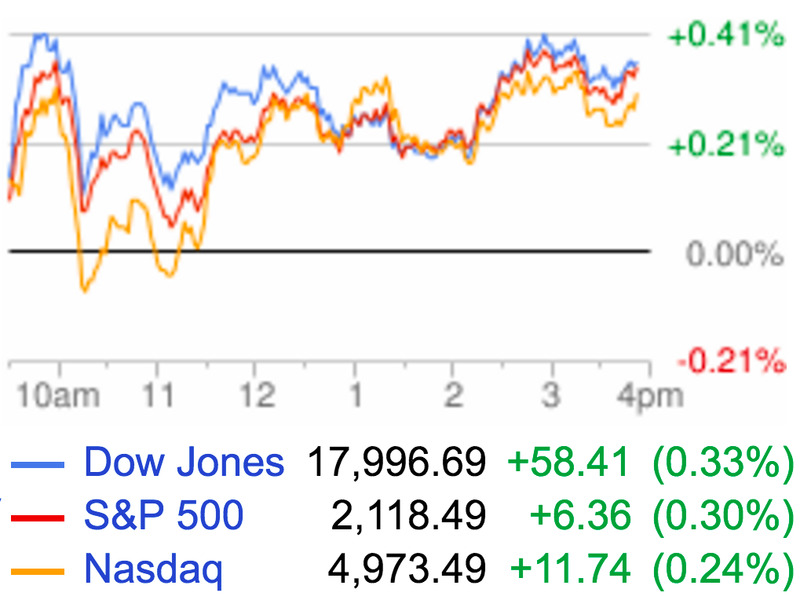 I think I’m a bit more sympathetic to the analysts here than Linette is. Which is fine. We usually disagree. But the actual insight here is that inventory at Lululemon rose 21% from the same time last year. As a retailer, this is bad. High inventory means sales are coming, means margins will be lower, meanings earnings could fall. As an offset, Lululemon was pretty aggressive this quarter buying back stock. Every stock market crash in the last 60 years. There’s a new whiskey ETF. The mobile app boom is over. South Africa is ‘clearly heading in the wrong direction,’ according to Capital Economics. Syria’s civil war has been terrible for its economy. Apple is making some changes to its App Store.